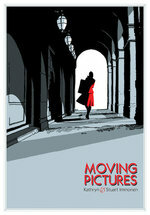 MOVING PICTURES and more as Top Shelf tackles TCAF! News | MOVING PICTURES and more as Top Shelf tackles TCAF! Ontario, you're in luck! Not only are you home to rising superstar Jeff Lemire and the setting for his award-winning opus Essex County, you're also the home of the fantastically talented Kathryn & Stuart Immonen, and for the debut of their graphic novel Moving Pictures this weekend at the Toronto Comic Arts Festival (TCAF)! meet Kathryn & Stuart Immonen and smuggle out a brand-new copy of Moving Pictures, hot off the presses and ready to blow minds! congratulate Jeff Lemire on the release of the first Sweet Tooth book, and get him to sign your Essex County! 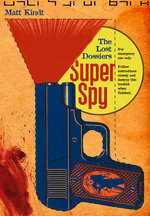 get your super secret mission briefing from Matt Kindt and snag his latest, Super Spy (vol. 2): The Lost Dossiers! We'll see you there, Toronto!